When I was a little girl, books were always my refuge. I read every Bobbsey Twin, Nancy Drew, and Clara Barton biography in the Columbia, Tennessee library. My favorite thing to do was to get a stack of new books and take them home. We always had a family competition over the summer to see who could read the most. It was the one time I could easily beat my two older brothers, and I loved it. As a parent, I started reading to my children from day one. And for a while, the love of reading took hold – until the smart devices took over. The other day, I found a new book in a series that my daughter and I had read when she was younger. If you haven’t ever read Jeanne Birdsall’s The Penderwicks, we highly recommend it. We now have a set of all five – for my grandchildren that is. My daughters have long outgrown the sweet pace of the Penderwick family and their adventures with their dog and friends. Over the past several months, I’ve been reading as refuge again. As a child, I read to escape the small town blahs that could get me or the confusing teenage times. Now, it is to escape the reality of my daughter’s impending departure for college. I was the mother on the first day of kindergarten who told her child, “There will be some other children crying with their mothers, but we won’t do that.” I’m fairly certain that I will have to pay for that one the rest of our lives. To be honest, I believe that I had a conference call I needed to be on. But it was also partly because I didn’t think I could get control of my emotions. So now, I’ve been reading, and reading, and reading in order to cope with the imminent transition to the college years. Tonight, it doesn’t seem so bad. She is ready to go, and I’m ready to let her go, but boy, do I have a list of books to recommend since I’ve read more in the past eight months than I have in the last eighteen years. So here are my top ten and a few others just for fun. 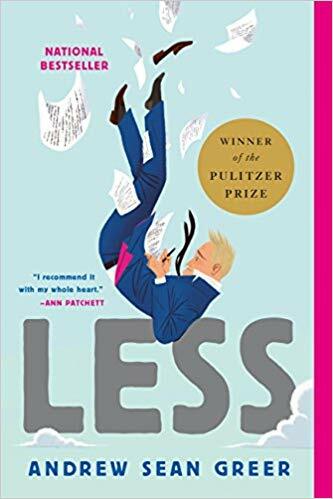 Number 1: If you haven’t read Less by Andrew Sean Greer, you are in for a treat. There is a reason that this hilariously funny novel won the 2018 Pulitzer Prize. This tale of escaping your problems was the perfect way for me to run away from the reality of the high school graduation milestone. Arthur Less is a failed novelist about to turn fifty and reflects on his romantic relationships that haven’t always gone the way he wanted. I did wonder about the possible autobiographical nature of this novel when I first started it, and once you surrender to this less-than-perfect protagonist, you will have fun with his antics. If you read nothing else this year, at least read this one. When my husband Charlie told me he wanted to buy a blue suit, it made me laugh to think about this book. Number 2: Stay With Me by Ayobami Adebayo was given to me by another mother who is going through the same transition with her daughter. 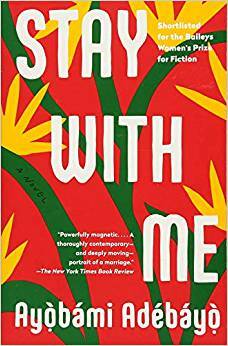 This tale of love, loss, and longing is so beautifully written that I am eagerly awaiting Adebayo’s next novel and wishing she would come to the United States soon. Yejide is the Nigerian wife who begins the novel by telling us about her husband Akin and his mother’s desire to bring a second wife into their marriage. It is a love story about the old world meeting the new world and the joys and pains of marriage and parenthood. You will drop your mouth is awe more than once and your heart will melt with the tragedy and redemption that occurs. It is a compelling read that still haunts me. Number 3: Jacqueline Woodson of Brown Girl Dreaming (see my review) says it best: “I love An American Marriage and I’m so excited for this book to be in the world. Tayari’s novel is timely, thoughtful, and beautifully written. Reading it, I found myself angry as hell, laughing out loud, choking up and cheering. A gem of a book.” If you consider yourself at all interested in Southern voices you must read this novel. Jones is arguably one of the most important American writers today. She serves up the reality of today’s black experience for middle class professionals in the story of Roy and Celestial and their Atlanta experience as it contrasts with the small town world of Roy’s upbringing. I’ll be looking for Jones at the Southern Festival of Books if I can get there this year. 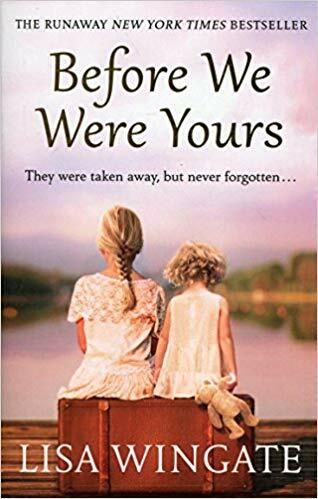 Number 4: Before We Were Yours by Lisa Wingate is a haunting tale based on a true story that is a little too close to home – Memphis. The novel moves back and forth from the present to 1939, and Wingate has written about her research into the Tennessee Children’s Home Society that from the 1920s to the 1950s actually brokered children from destitute families. Wingate’s story is a work of fiction loosely based on individual stories and is told from the perspective of the narrator, Avery Stafford, who learns that her aging grandmother might have a secret past. Before We Were Yours was a perfect escape – I was unable to put this one down. 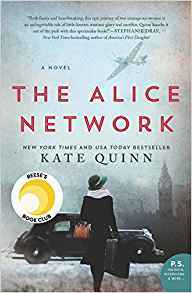 Number 5: The Alice Network by Kate Quinn was also a page-turner based on actual events and includes two different timelines in the narrative. The protagonist is an American woman named Charlie, who finds herself pregnant in 1947 and is sent to Europe by her wealthy parents to “handle” her little problem. Charlie leaves her mother in France as she decides to stay pregnant, handle things her own way, and search for her cousin Rose who has gone missing. Charlie’s adventure leads her to Eve who takes us back to 1915 and describes her life as a spy, trained by Lili, the “Queen of the Spies” – based on the French spy, Louise de Bettignies. I discovered this book through Reese Witherspoon’s recommendation. Julie Kennon will love the fact that Quinn has already identified the actors she wants for each role for the film version. Quinn has her own Top Ten list for 2017! Number 6: The Leavers by Lisa Ko is the story of Polly Guo and her son Deming who tell their tale of the challenges of immigration. Polly and Deming move between New York, Fuzhou and Beijing. One day, Polly doesn’t return from her job at the nail salon. She had been talking about moving to Florida to a better job, and Deming wonders if that is where she is. She is not (she has been arrested as an undocumented worker). Deming ends up in child protective services, eventually gets adopted and becomes Daniel Wilkinson. This is a story of survival, searching, and self-definition. It is engrossing and heart-wrenching all at once. The Leavers was a 2017 National Book Award Finalist and the winner of the 2016 PEN/Bellwether for Fiction. 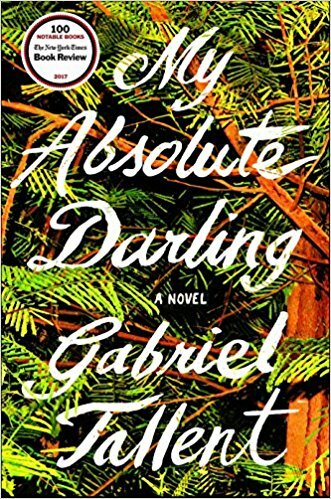 Number 7: My Absolute Darling by Gabriel Tallent is a hard read. I’m putting it at number 7 because of the acclaim it has received. I told Jennifer that I thought I might not be able to finish it. And I’m not sure I would recommend it to my daughters – if I do, it would only to be to point out the many ways in which this novel lays out what twenty-first century misogyny looks like. If you have heard about it and want to read it, I suggest you check out what S.E. Smith has to say about it first. Number 8: All three Jason Matthews’ Red Sparrow novels are pure escape. I saw the movie trailer with Jennifer Lawrence and cringed at what looked like too much violence. I find that I can read it but not watch it. These three books kept me entertained and on the edge of my seat while I waited to learn about the next adventure for Russian-born Dominique and her American handler/lover Nate. Definitely a page turner that makes you forget everything else. Number 9: Chemistry by Weike Wang is written by a chemistry major who has a doctorate in public health. Wang’s experience infuses her unnamed narrator who struggles with following the path laid out for her by her parents and her own search for what she really wants. Wang’s story gives an interesting view into the struggles of talented, high-achievers and the lives they want. As a parent of a college-age student, it made me more aware of the things that I say and the expectations that I may have. At the end of the day, our children have to choose for themselves. There are times that you want to shake the protagonist and other times that you want to hug her. Number 10: I am not always a fan of science fiction, but I do love a good time travel novel. Years ago, a friend introduced me to Kindred which is harrowing, and How to Stop Time by Matt Haig has all of the great elements of a time travel escapade – handsome time traveler who never ages, love stories, missing children, interesting historical characters. I highly recommend this as an entertaining read. It also reminded me of The Book of Witches by Deborah Harkness(a great trilogy if you are looking for something fun and light). Other books that didn’t make the top ten but I really enjoyed: Eleanor Elephant is Completely Fine by Gail Honeyman; Origin by Dan Brown; Exit West by Mohsin Hamid; The Ruined House by Ruby Namadar; The Great Alone by Kristin Hannah; The Paris Architect by Charles Bellflower; Saints for All Occasions by J. Courtney Sullivan. Thank you Louise. Don’t know how I would have done it without you. Would have loved to include your birthday book that we can’t remember the name of. Thank you, Lawrence! While I’ve read a couple and Caroline had told me about others, I’m delighted to have a ‘fall read’ list! Can’t wait to get started. Thanks Allie. I love getting to read with Lina who loves to discuss them with me. Hope you are well. Hope you get to read a few Mary and I bet you have a good list somewhere. I’m so excited to follow your blog Lawrence! I’ve read a few of your choices and look forward to reading the others. Like you, I have been reading extensively since the boys have been leaving the nest. xoxo PS Margaret looks wonderful! Thanks Linda. So great to see you in August!